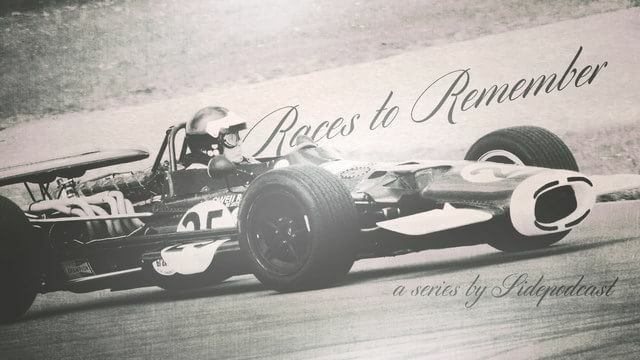 Welcome to Races to Remember, a mini series brought to you by Sidepodcast, recapping some of the more memorable events from the vast history of Formula One. This series is looking at those races that have entered the record books, the fastest, the slowest, the highest, the lowest, that kind of thing. Today’s episode focuses on not so much the race itself, although that was a controversial one, but on an unexpected qualifying result – this is Europe 1997. The European Grand Prix is one of those nominated titles that has been held at different tracks in various countries. The 1997 race was held at Jerez, in Spain, after being moved from Portugal due to the latter having financial difficulties. It was the final round of the season, with the championship still up for grabs. After the previous round in Japan, Michael Schumacher was leading Jacques Villeneuve by a single point, with the Williams team securing the constructor’s championship with one race to go. Points were available for the top six finishers, so getting a good qualifying position was absolutely vital. One hour of track time was available for qualifying on Saturday, with drivers permitted to complete twelve laps, the fastest of which would be their qualifying time. Villeneuve posted a superbly fast time of 1:21.072, to put him on provisional pole position. Halfway through the session, Michael Schumacher matched it. And when I say matched it, I mean he posted the exact same lap time, a 1:21.072. Drivers posting the same lap times is unusual but it does happen occasionally. The regulations provide for such an occurrence by stipulating that the higher grid position will be given to the driver that set the time first. Two identical times is unusual, three is unheard of, but that’s exactly what we saw when, with less than ten minutes of the session remaining, Heinz-Harald Frentzen crossed the line to complete a lap of, you guessed it 1:21.072. The chances of this happening are so remote, F1 timings completed as they are to the thousandth of a second, but the results were allowed to stand. Some speculation came afterwards that official timekeepers Tag Heuer had faltered somehow, but that was never proven. The regulations remained in force, granting Villeneuve pole position, with Schumacher and Frentzen behind him. Frentzen was joined by defending world champion Damon Hill, who was less than a tenth of a second from matching the leading time. He could have beat it, too, if there hadn’t been an incident that brought out the yellow flags and forced the Brit to lift off. Thus, qualifying was the record-breaking feat, three identical pole position lap times, but the race itself wasn’t without controversy. Schumacher took the lead going into the first corner, with Villeneuve dropping back behind his teammate, Frentzen. Team orders came into play during the first few laps to swap those positions back again, and put Villeneuve back on target with Schumacher. On the 48th lap, Villeneuve attempted an overtaking move, braking later than the Ferrari driver and taking the inside line. Schumacher turned in on him, with a hard collision occurring between the two cars. Michael’s car ended up in the gravel and he was unable to continue. Jacques, whilst sustaining some damage to the Willaims, managed to finish the race. His pace had disappeared, though, and he dropped back behind the two McLarens to end up in third place. Mika Häkkinen won the race, with teammate David Coulthard behind. Despite Schumacher’s best efforts, the third place finish gave Villeneuve enough points to secure the title, becoming the 1997 F1 World Champion. Initially, the stewards dismissed the collision as a racing incident, but Schumacher was later called to a hearing in front of the FIA. They found him to have caused the collision deliberately, although concluded it wasn’t a pre-meditated move but a spur of the moment reaction. Regardless, Schumacher was disqualified from the season, so that he lost his second place to Frentzen. Schumacher was also given F1’s version of community service, by being encouraged to participate in the FIA’s road safety initiative the following year. This was the second time Schumacher had been involved in a high profile, championship-deciding crash, and this time, he wasn’t given the benefit of the doubt. Meanwhile, Tag Heuer continued their fine job of tracking F1 lap times, eventually handing over to other timekeepers. No matter who has been in charge, though, three identical lap times in the same qualifying session has not happened again. Thank you for listening to this episode of Races to Remember, I’m really enjoying this journey through the Formula One record books, I hope you are too. Do send your feedback to christine@sidepodcast.com or leave a comment on the site, sidepodcast.com. I’ll be back tomorrow with the fifth of our seven episodes, please join me then.